avicenniae Dugdale, 1990 (Planotortrix), New Zealand J. Zool. 17: 458. TL: New Zealand, "Matakana Island, Monro Block". Holotype: NZAC. male. excessana Walker, 1863 (Teras), List Specimens lepid. Insects Colln. Br. Mus 28: 303. TL: New Zealand, Nelson. Lectotype: BMNH. male. 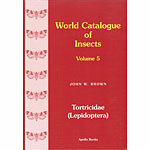 biguttana Walker, 1863 (Teras), List Specimens lepid. Insects Colln. Br. Mus 28: 305. TL: New Zealand. Nelson. Lectotype: BMNH. male. flammea Salmon, 1956 (Bactra), Trans. R. Soc. New Zealand 83: 575. TL: New Zealand, Homer Forks. Holotype: MNZ. male. notophaea Turner, 1926 (Tortrix), Trans. R. Soc. S. Austral. 50: 135. TL: Australia, "New South Wales, Epping". Holotype: NZAC. male. distincta Salmon, 1948 (Ctenopseutis), Rec. Auckland Inst. Mus. 3: 311. TL: New Zealand. "Great Island, Three Kings Islands". Holotype: AMNZ. male. octo Dugdale, 1990 (Planotortrix), New Zealand J. Zool. 17: 460. TL: New Zealand, "Taitapu, Mid Canterbury". Holotype: NZAC. male. octoides Dugdale, 1990 (Planotortrix), New Zealand J. Zool. 17: 460. TL: New Zealand, "Chatham Islands, Rangatira Island". Holotype: NZAC. male. puffini Dugdale, 1990 (Planotortrix), New Zealand J. Zool. 17: 462. TL: New Zealand, Lee Bay. Holotype: NZAC. male.